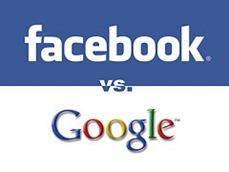 From Google's Search to Facebook's Discovery! The world is changing and the web has been changing every day. Web is becoming more social as more of us are participating in the social media. Tweeting, sharing and connecting has been the new mantra of web. We are consuming information in ways we never imagined before. Let’s understand the underlying magic behind this whole phenomena. 1 How Google changed the web? 2 How Facebook, Twitter et al are changing the web? 4 How Facebook cuts into Google’s Search pie? How Google changed the web? Before this massive social intervention was a collection of HTML pages and links connecting them. The links determined what was more important in this web. e.g. if a web-page is being pointed by a large number of external links, it‘s considered more important than other web-pages. Web was a massive collection of information which was not reachable. Google’s page-rank exploits this fact to display more important links on the top of the search results. How Facebook, Twitter et al are changing the web? Google is more like an utility to access the specific information that you needed really badly. It is a tool you use to dig the information from massive web and you are done. Facebook is very different animal. It serves the information like – what your friends are doing, where they are going, how are their kids/familes etc. Facebook presents with the things you may Like or people you may know. It is not the information you necessarily Need but the information you probably Want. We don’t pay more for things we need but things we want. e.g. Wheat floor is something we need but say BMW is something we want. So, we are willing to pay more for BMW but not for wheat floor. We are doing the same thing with Facebook. We are spending more time on Facebook for the experience we want. We are spending only 1/3rd of time on Google (compared to Facebook) for things we really need. Information that we consume using Facebook/Twitter is about people. It is from the people we are already connected with. The Google exploited the links between web pages to deliver right information. Social is about building and leveraging the links between people to access the relevant information. The web is becoming more social as these links grow and we keep consuming more information flowing from our connections. The information discovery of facebook is essentially joyful. Facebook keeps presenting with things you may like or people you may know. One just needs to click on the like and it’s added as an Information Source. The user starts receiving updates from friend or page in his Facebook news feed. This is a whole new way of discovering information as compared to searching for information. How Facebook cuts into Google’s Search pie? Essentially, both Google and Facebook are information businesses. They just serve information differently. Once you start liking things and connecting with people on Facebook, you automatically get important and relevant information from them in your news feed. This relieves you from the pain of searching that information. This is because you already have received the same information even before searching it on Google. Now, there is a little need to search for the same thing. This basically reduces the need to search and has been an ongoing concern for Google. Less searches = Less Ad revenues. Google has been silently working on something serious…Let’s see how Google Me fares out! I hope you enjoyed this post. Looking forward to your comments. Thanks Sagar for comments. Let me illustrate with an example. I am connected with a number of people in recruitment field on Facebook around the globe. They share very interesting articles that I like to read. Before being connected with them, I used to spend a lot of time on Google to get access to new and happening things in recruitment field globally. Things have changed. Now, these connections lets me access the same information that I used to search for. So, this essentially is a win for Facebook/Twitter and a loss for Google. Fundamentally, people do not use Google to search for what’s happening in their friend’s lives or to get the update from social circle. They use Google to find other information, which mostly they “need”. So Google is not loosing the existing search market. They just want to catch on the additional market being created by the like of FB.